Nashville, TN -- The Tennessee Mafia Jug Band has been called the most entertaining “blast from the past” to ever pluck a string. With impressive individual credentials, this band of artists is rooted in tradition, but with innovative branches. The group is set to release its fifth studio album, Lester’s Loafin’ Lounge. Friday, June 13th, 2014, at 7:30 p.m. the Carter Family Fold in Hiltons, Virginia, will present a concert by the Tennessee Mafia Jug Band, an old time band, as part of our Foot Stompin’ Friday concert series. Admission to the concert is $15 for adults, $1 for children 6 to 11, under age 6 free. From the pastoral hills, hollers, shopping malls, and interstate highways of Goodlettsville, Tennessee - home of Bill Monroe, Bashful Brother Oswald, Stringbean, Grandpa Jones, Keith Whitely - and some living country music performers - comes themost entertaining blast from the past since Lester Moran and the Cadillac Cowboys. They’re the Tennessee Mafia Jug Band – guys with a scrubboard and roots like wisdom teeth. Thomson, IL -- With raccoons and catfish, hillbilly culture takes over the newest episode of the local variety show The Old Time Heirloom Hour. 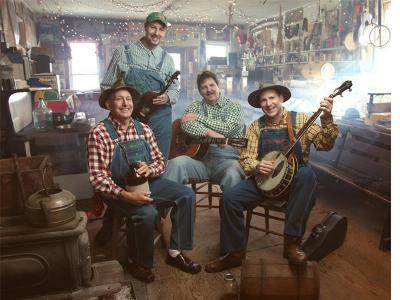 The Tennessee Mafia Jug Band stars as both the musical guest and guest hosts. Playing music of a style often described as the forerunner of bluegrass, their vocals feature strong two- and three-part harmonies and their instruments include a guitar, banjo, jug, Dobro guitar, fiddle, upright bass fiddle, and a kind of one-man-band washboard that has small horns and cymbals attached. 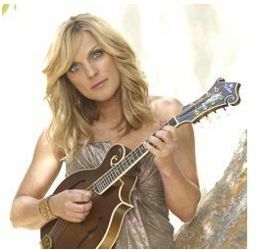 With their entertaining songs serving as the basis for conversation segments, they make a fun hour of bluegrass variety. Marion, VA -- Song of the Mountains will present the SteelDrivers at the Lincoln Theatre in Marion, Virginia on Saturday, August 4th. Also on the show will be LeRoy Troy with the Tennessee Mafia Jug Band along with the band My New Favorites and Travis Frye and Blue Mountain.